Next Meeting is September 19th! For the last several years, Page Turners, the CBS Book Group has read, explored and discussed such topics as the role of Jews in the Civil War, the lives of Jewish women through the ages, the plight of contemporary Jews in America and abroad, the historical challenges faced by our people and the joy of being a part of Jewish life today. Plan to join us for this year’s continued exploration! 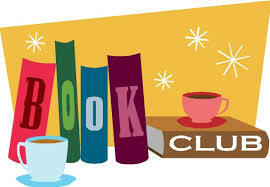 We meet once a month on Mondays from 6:00 p.m. to 7:30 p.m. Check the CBS Calendar! Please feel free to bring your dinner and join us in these diverse and interesting discussions. For more information, please contact Phyllis Newman at phylnew1@yahoo.com.